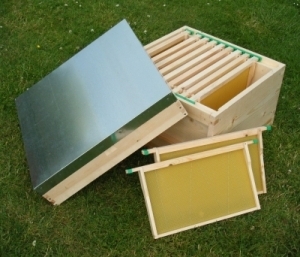 To Learn more about the components of a traditional Langstroth hive visit our Langstroth Bee Hive page. Dadant (Albion, MI) is a national distributor of beekeeping supplies and equipment. They have a Michigan outlet in Albion, MI. Beeline (Mendon, MI) is a supplier of beekeeping equipment located in Mendon, MI.